Click HERE for a full publication list and click HERE for additional book reviews. 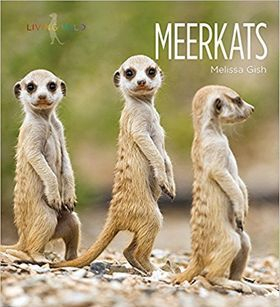 Like any good animal series, these titles in the “Living Wild” series impart all the right information for school reports: physical description, habitat, life cycle, age range, care for the young, position upon the food chain, adaptations, and conservation efforts. The books go beyond these basics in how they consider the animals’ places in history and culture. 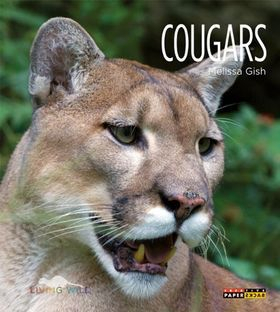 Cougars reveals the ongoing debate of protecting the North American cougar as rising numbers of these big cats coincide with a decline in deer, elk, porcupines, and other cougar prey. Sidebar facts, a world map, a glossary, and a bibliography add to the research value, while gorgeous color photographs, many full-page, and a concluding folk tale will lure browsers. Find the Living Wild series HERE in The Creative Company Fall 2017 Catalog or HERE in the Creative Paperbacks Fall 2017 Catalog. Concise texts describe distinctive characteristics of these creatures. 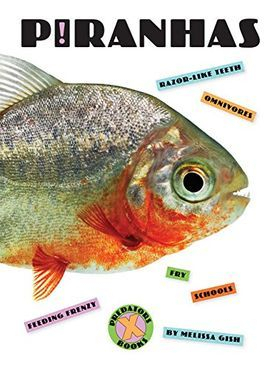 Piranhas also discusses the ways popular culture views the fish (they're not as dangerous as portrayed) and serious ecological issues, such as dwindling numbers in the wild, problems caused by their importation and release into U.S. waters, etc. Sea Lions describes the animals' role as performers as well as their use by the military in locating mines, retrieving objects, etc., and threats to their survival. Each title concludes with a retelling of an ancient myth about the animal. 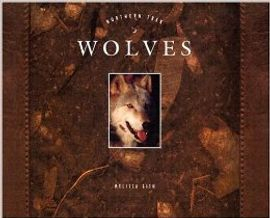 Full-page, sharply focused, color photographs of the animals in natural settings illustrate the texts on about every other page; many are close-ups. Small captioned pictures in the margins of most pages offer additional facts. Both books are remarkable for their clear information and exceptional photography. Valuable additions to natural-history sections. Great informational book. Good pictures and readable text. I will be purchasing more of this series. The books in this series [This Land Called America] give beautiful snapshots of each state. Each book reviewed gives the reader a broad overview of the history, culture, and landscape of the featured state. Color photographs from both modern and past history grace the book's pages as the story is laid out in language easily understood by the youngest readers. 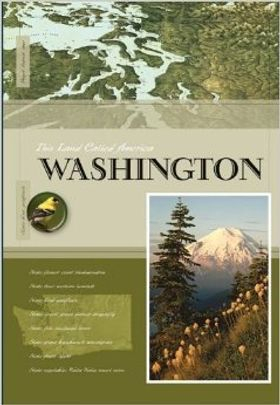 The covers of each book are almost as informative as the pages inside, showcasing historical topography, a photograph of the landscape and state bird, and official state facts. Featuring a map of the state and quick facts, a historical timeline on each page, and engaging prose, the series is an excellent way to introduce readers to how different each state is from its neighbor. Another plus is that these slim books may be a way to interest individuals reluctant to pick up nonfiction titles. Index. Highly Recommended. This is a beautiful gift book with beautiful pictures. 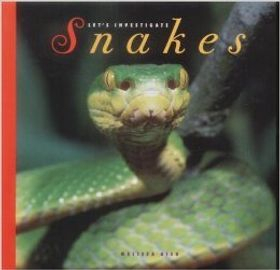 This book [Let's Investigate: Snakes] shows many types of snakes from the beautiful turquoise striped San Francisco garter snake to the Himalayan pit viper who lives at 16,000 feet. It gives a lot of facts about snakes like some snakes lay eggs and others give birth to live young and which snakes reproduce in these ways. It explains and shows pictures of how snakes capture and swallow their prey. All snakes are carnivores. This book has a lot of great facts about snakes and fantastic, interesting and beautiful informative color pictures. This book is a great learning tool for any age. While this 1998 book is now out of print from the publisher, you can still find it new or used HERE, at Barnes & Noble, or HERE, at Amazon. 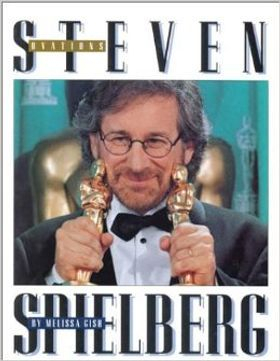 [Ovations: Steven Spielberg] Great introduction to the life of the most famous moviemaker in Hollywood, from his unique childhood to his lucky breaks to his outlook for the future. Lots of fun photographs and quotes from people who really know what makes Spielberg tick. While this 1998 book is now out of print with the publisher, you can still find it new or used HERE, at Amazon. Great to read to first through third grade. 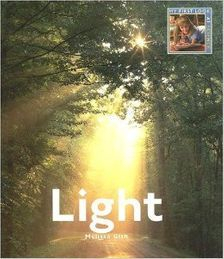 I used it while discussing light in second grade and the students loved it! Great illustrations! 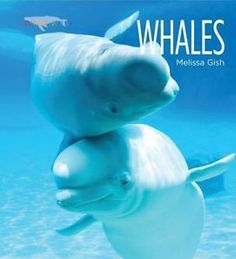 I was excited to read this book, since whales are my favorite animals, and I was not disappointed. 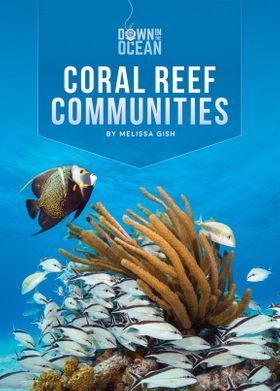 A perfect, compact read that gives you all the necessary details and shows the beauty of these creatures. My grandson really liked it. Lots of good pictures and information. 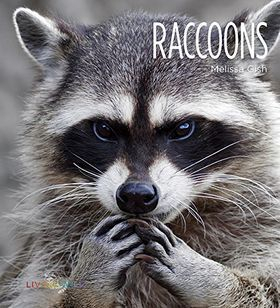 I've been feeding a group of raccoons for a few years. I've had all kinds of questions about. There is plenty of information not just for children but adults too. I've learned things I hadn't read before. 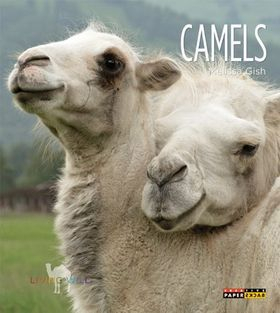 I came across this in my library but I am now going to buy it so I can look back as I need. Picked this up at the library today. 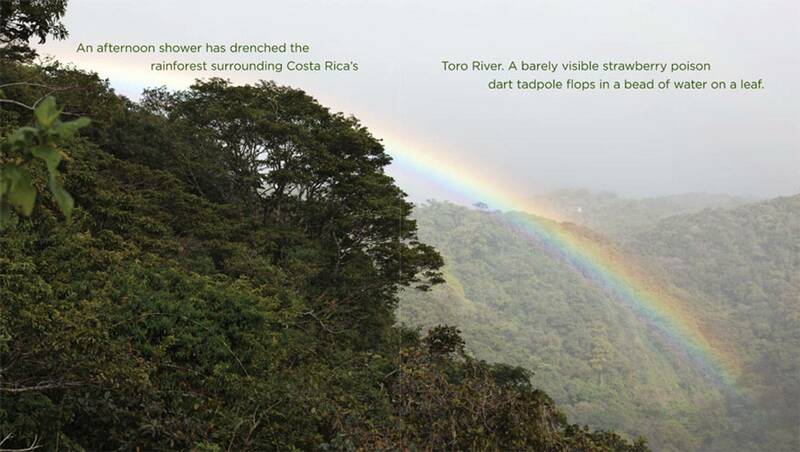 BEAUTIFUL photography with lots of great facts. There is also information on falcons and people, including how they have been used for hunting, human impact on their numbers, and even a native American myth. We love animal books, and I thought this was a very well-rounded look at falcons. I took a chance on a book with no reviews. Glad I did. I was looking for a book on this subject with nice photographs for my child's 5th grade teacher. She really likes jellyfish and wanted a book suitable for an adult to enjoy, but share as a "classroom" book. This was perfect. It says appropriate for grades 5 to 9, but I think 3rd to 7th is more like it. It is paperback, but the pages are thick and glossy. Looks like it will take some wear and tear. Our grandson loves hippos. The pictures in this book are varied enough for him at 2 years of age. We are able to weave the facts from the text into our "reading" with him. Selected this book for my 4th grade son's school project on kangaroos. It was extremely detailed and perfect for his interests and reading level. Banner image from Living Wild: Frogs. All images copyright Creative Education, Mankato, MN. Additional reviews of the Living Wild series can be found HERE.